MAY 7, 2018 — The PR Consultants Group recently announced the addition of a new member, Shelly Holmes, Principal, Holmes Associates Marketing Communications. “This new addition will add value, expertise and experience to PRCG, a national network of seasoned public relations professionals,” said PRCG President Gary Young. 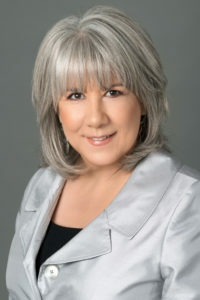 Holmes Associates was birthed from Shelly Holmes’ decades of experience – and contacts – as a senior partner at large regional and international agencies. Holmes Associates offers clients an alternative to large agencies or having to curate and manage various consultants/freelancers — improving scalability, flexibility, cost-efficiency and results. Holmes and her portfolio of highly-qualified associates help clients in the corporate, nonprofit and government sectors with: branding; product/services marketing; public education and social/cause marketing; crisis communications and more. Holmes also offers strategic counsel and/or training to fortify in-house comms teams. Holmes is a board member and past chair of the Los Angeles Child Guidance Clinic, a 90-year-old-mental health services clinic for children and their families in South LA. She is currently overseeing, with clinic leadership, an organizational rebranding effort. PRConsultants Group (PRCG) is an exclusive nationwide network of about 50 highly-regarded, award-winning senior-level public relations and communications consultants working in every sector of every major U.S. media market.